Women and their roles within families must be understood within the context of ethnic traditions, religion, and culture. 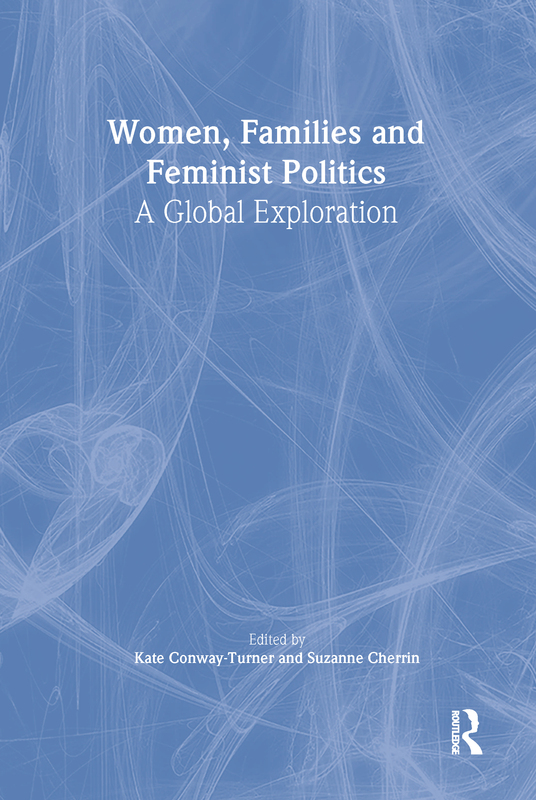 Women, Families, and Feminist Politics: A Global Exploration combines all of these aspects to evaluate the similarities and differences of women around the world. Readers will learn about diverse theories relating to women and their familial roles, the different categories of feminism, and how cultures and ethnic traditions shape and sometimes restrict a woman’s identity. Women, Families, and Feminist Politics looks at the daily challenges and concerns of adult women within the context of family to help you understand the different needs of women in relation to their culture and ethnic background. Focusing on the importance of views concerning the meaning of women’s social status, power, and success, Women, Families, and Feminist Politics contains case studies and statistical data that identify critical issues pertaining to you personally and to all women throughout the world. By understanding how women’s families help shape their identities, you will be able to learn about the vast experiences of women and the inequalities we have yet to overcome.